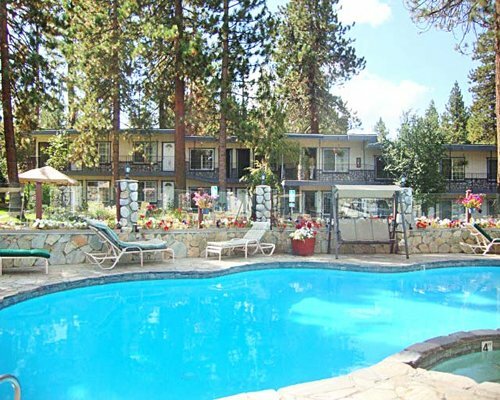 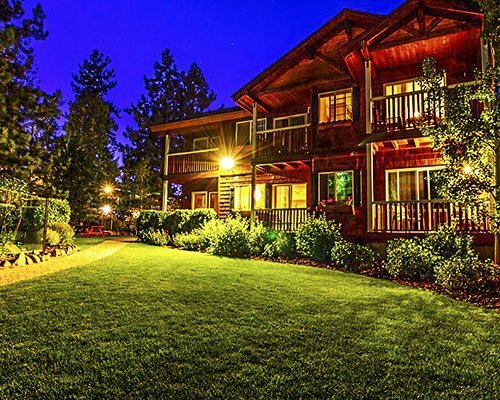 Located in beautiful South Lake Tahoe, Americana Village features a heated outdoor pool, a Jacuzzi, a dry sauna, an exercise room, and a recreation area. 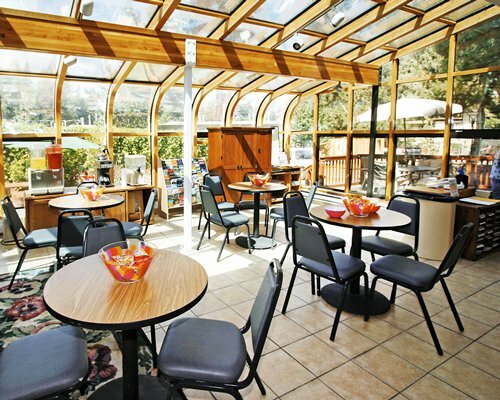 The resort's solarium can supply equipment for a variety of different sports. 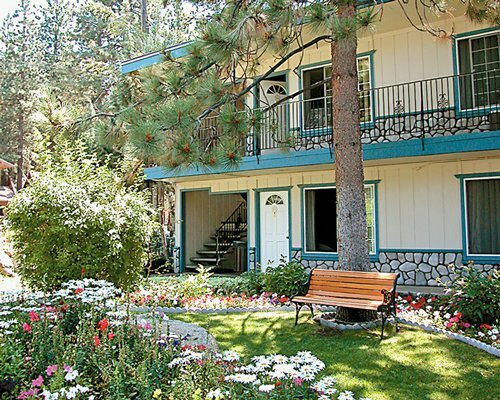 Bicycles are available May through October (weather permitting). 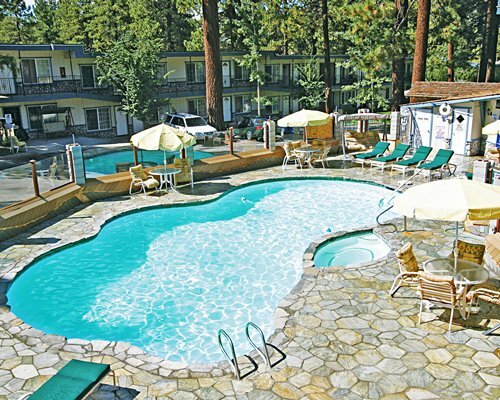 For warm weather activates, the resort is only a mile from Lake Tahoe and 40 miles from the Truckee River, which offers white water rafting. 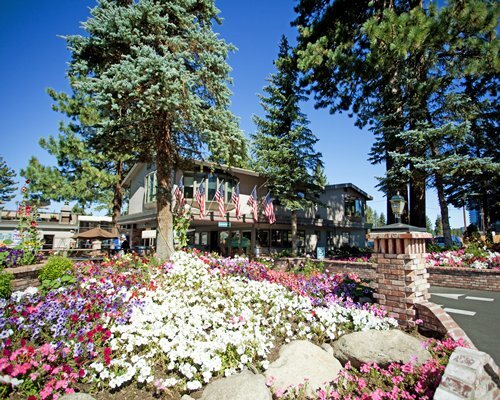 In winter, ski Heavenly, Sierra at Tahoe, Kirkwood, or one of the 13 other ski areas around the lake. 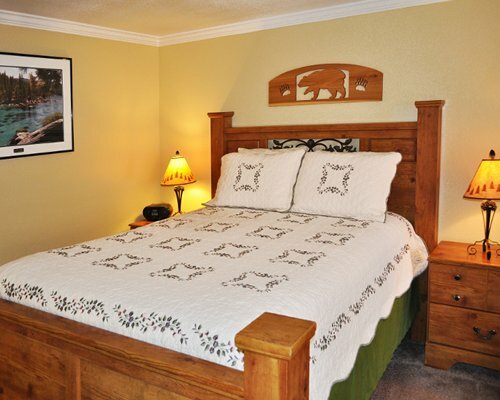 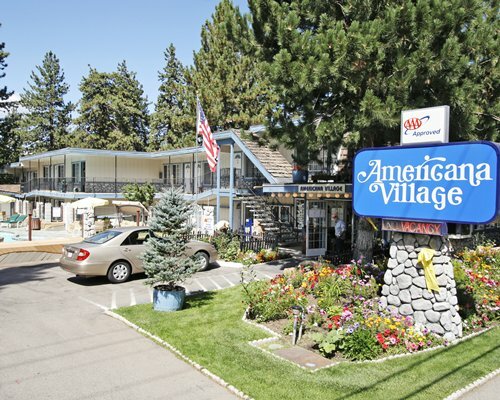 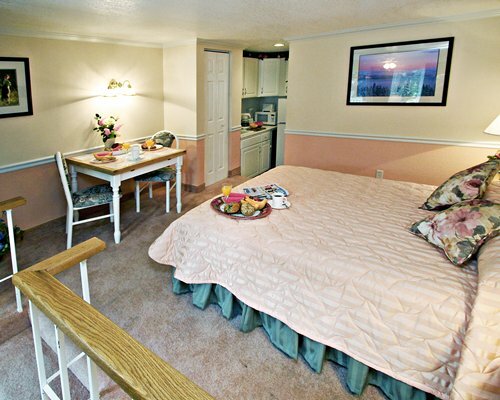 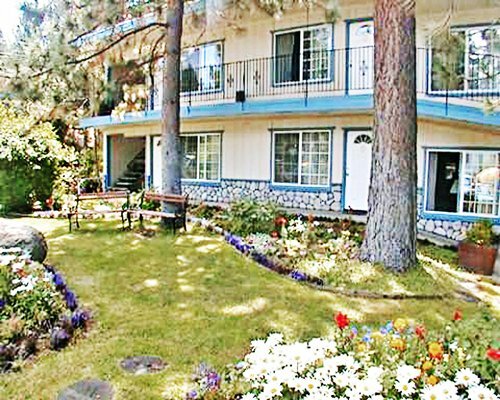 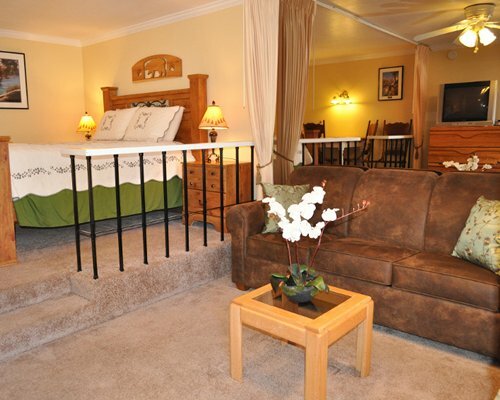 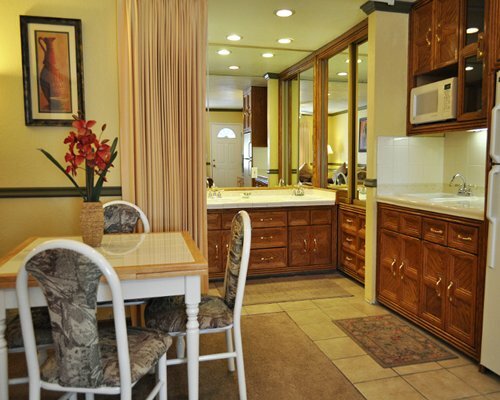 The Americana Village in South Lake Tahoe offers clean, comfortable studios, or one or two bedroom mini suites. 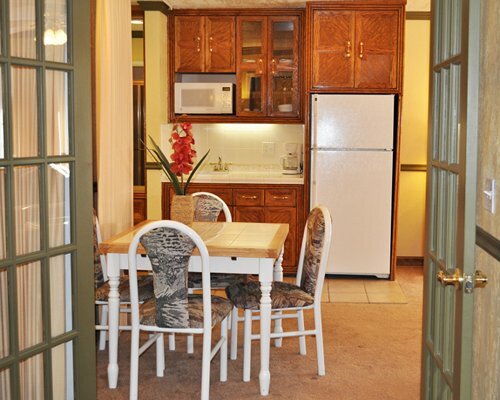 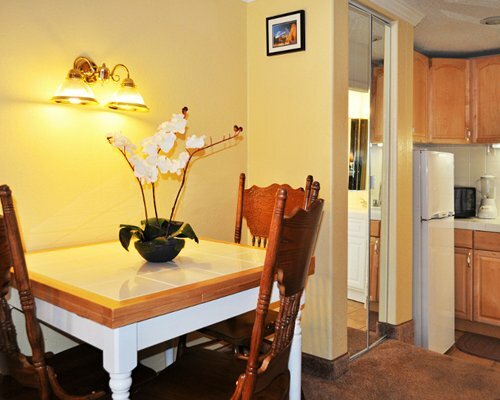 The one and two bedroom units have a dining area and living area. 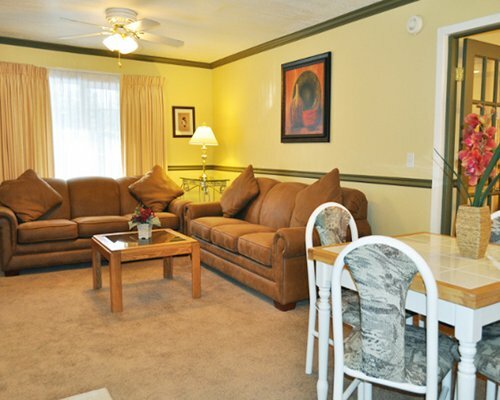 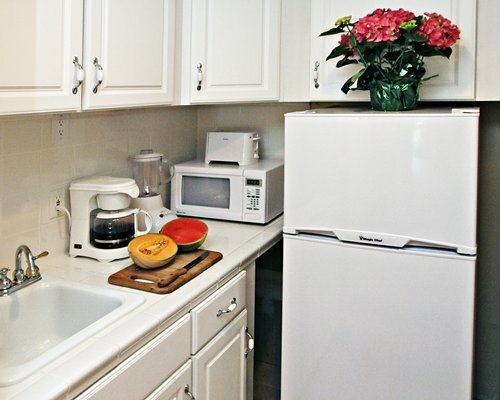 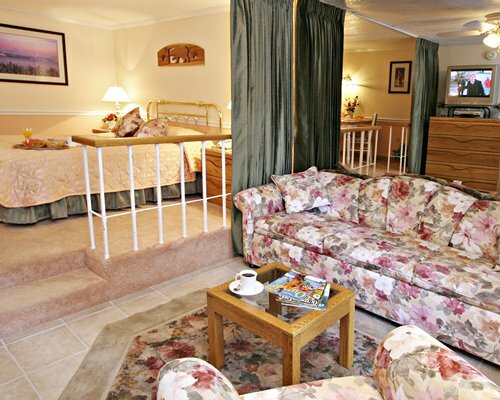 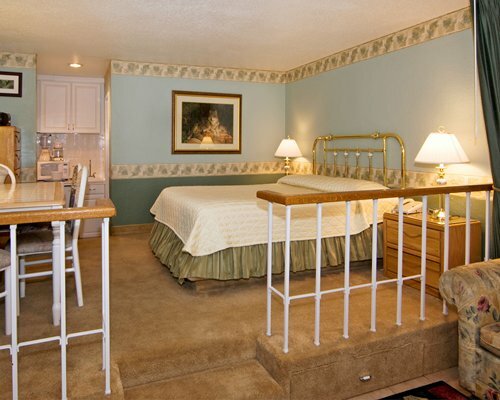 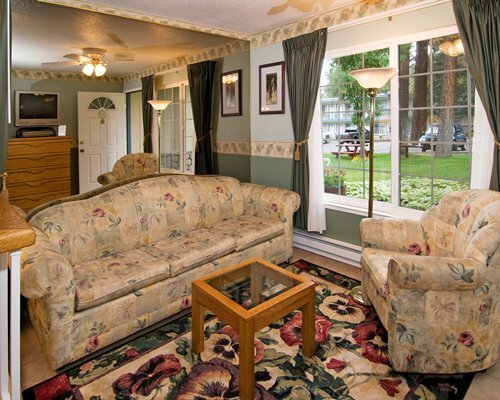 All units have carpeting, quality linens, a TV/DVD player, a stereo, and a kitchenette with a microwave. 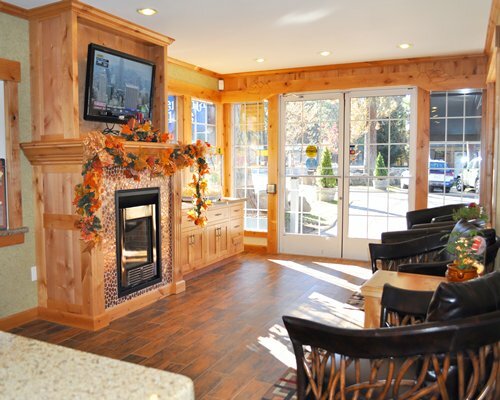 Plus, you'll receive top quality service from an attentive staff. 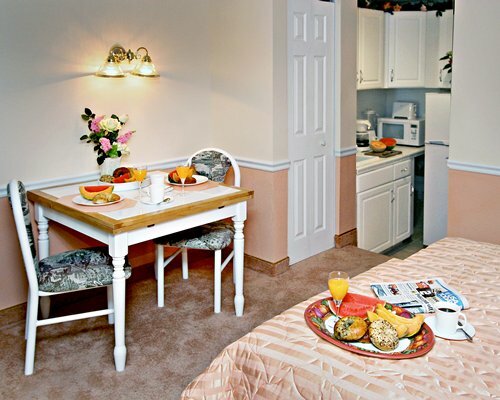 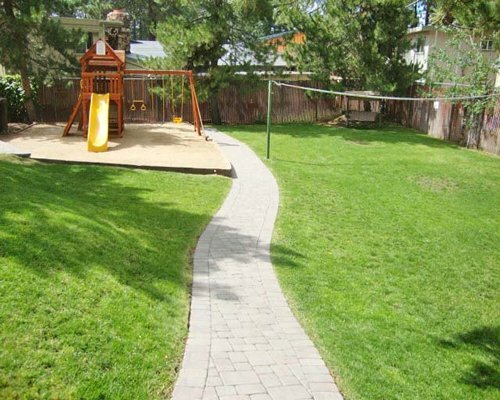 In short, you'll get all the amenities to make you and your family feel right at home. 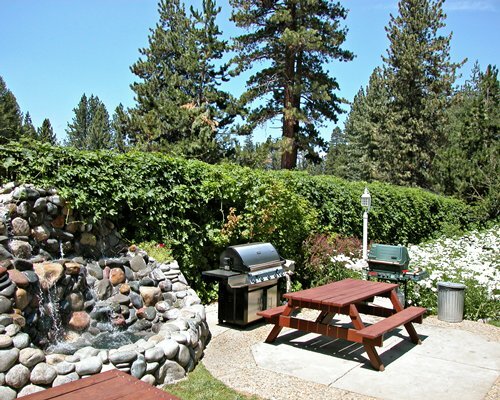 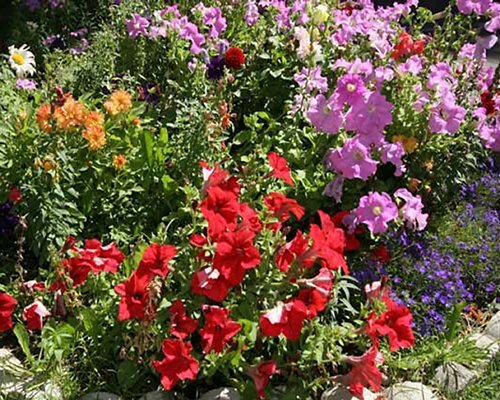 The nearest major airport is Reno/Tahoe International Airport, 60 miles away. 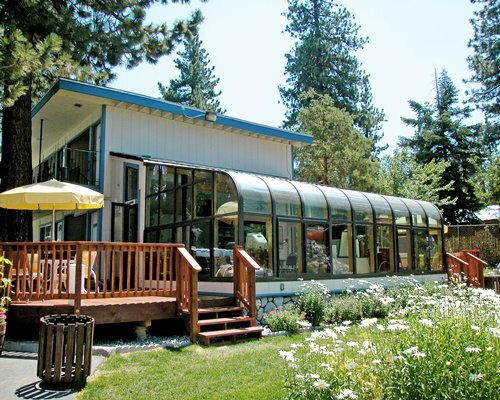 Buses and limousine service to Lake Tahoe are available at the airport. 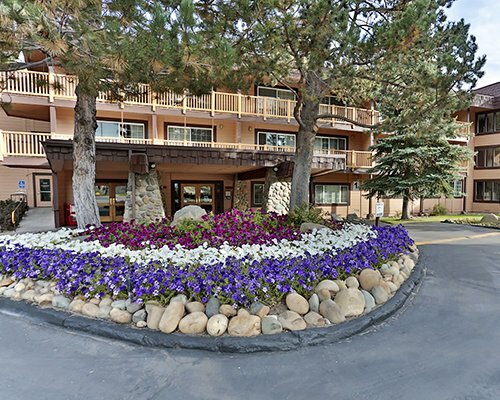 From Reno take I-395 South to Carson City and Hwy 50 West to South Lake Tahoe. 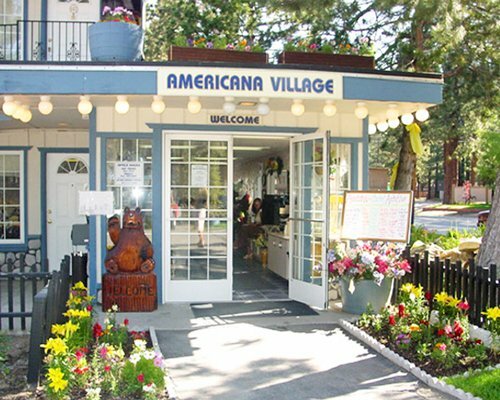 Turn left at the light onto Pioneer Trail and go 1/2 mile to Americana Village, on the right. 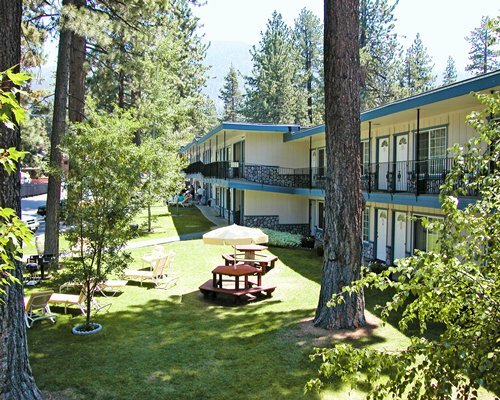 From Sacramento take Hwy 50 East to South Lake Tahoe. 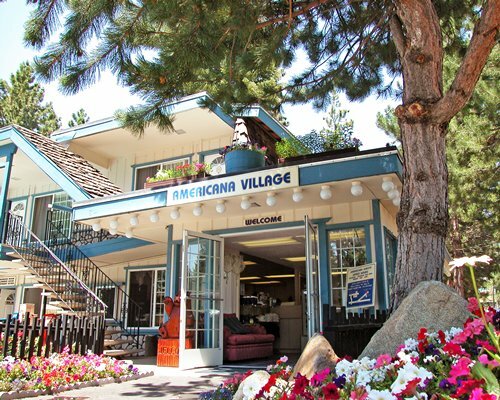 Turn right at the light onto Pioneer Trail and go 7 miles to Americana Village on the left. 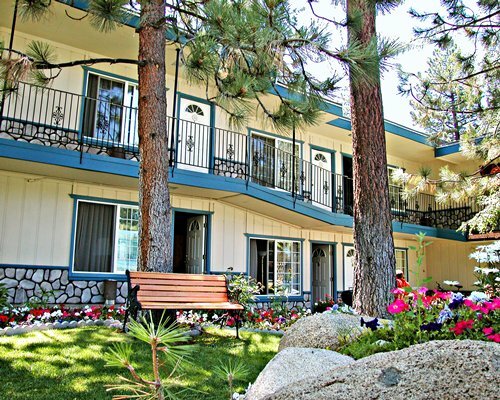 There is a shuttle service from Reno-Tahoe Airport called South Tahoe Express, phone is 866-898-2463 call for reservations &amp; rates. 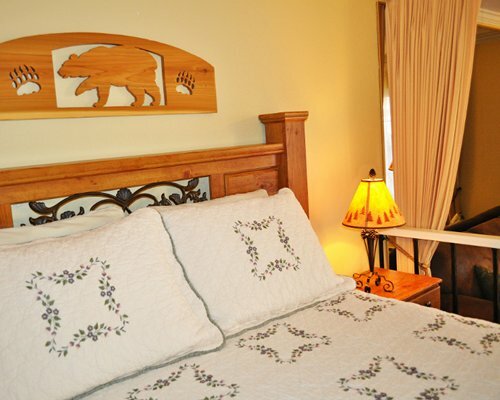 Snow tires may be required during periods of heavy snow. 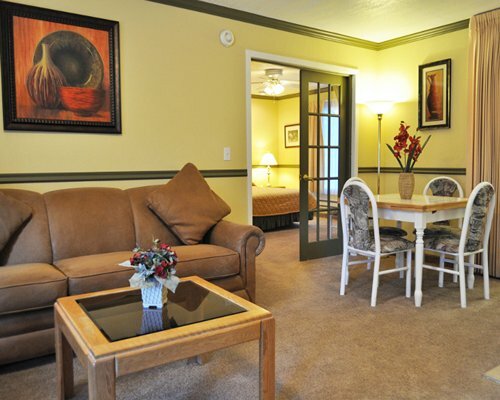 Call 800-427-7623 or 877-687-6237.